The 19th annual EDIT summer school marked another successful two weeks where 100 students had the opportunity to learn about technology, exchange ideas with their peers and put their knowledge to work – all while having fun. As in the previous years, the summer school was held in six cities in Slovenia, Serbia and Bosnia and Herzegovina and gathered some of the most talented students from technology high schools and universities. Through a two-week educational program and team work, students were able to participate in projects in a simulated work environment and gain valuable hands-on experience that helps prepare them for future careers in IT. One of the goals of EDIT is to provide participants with a combination of theoretical knowledge and practical real-world examples, as well as immerse them in actual projects that they can fully participate in from start to finish. The 2015 projects covered the most current topics and themes in the IT world. The EDIT15 participants in Kragujevac were tasked with developing a user application for monitoring roads, traffic and vehicle accidents. The students worked in small groups using SCRUM methodology and various technologies, including ASP.NET (backend), HTML5 and AngularJS (frontend) enabling them to learn about the software lifecycle development. The EDIT15 participants in Belgrade also worked on developing a user application for monitoring roads and traffic. The goal of the project was to display the selected area or route with an exact position on a map via a web application. When the application starts, it shows a selection of recorded routes that are located on the server. The EDIT15 participants in Banja Luka were asked to create a HTML5 video player that enables users to add helpful annotations with icons and custom text at a certain point in the video. The frontend of the solution was based on HTML5, CSS3 and Angular, while NodeJS and MongoDB technologies were used for the backend. The EDIT15 participants in Sarajevo had the opportunity to develop a Singe-Page Application (SPA) that handles user’s appointments, meetings, reminders, important tasks, etc. within a calendar. The EDIT Sarajevo team built an application that is focused on the Calendar view and integrated with an existing backend API, as well as a cloud-based analytics service. The EDIT15 participants in Maribor developed a multi-platform solution for a web shop with a simulation of the robot system storage management using a Lego robot Mindstorms EV3. The solution is based on JaveEE platform and Angular JS web technologies. The students created a working system which enables the user to activate the robot through the app. The robot then physically takes the item from a temporary storage and delivers it to the order area. 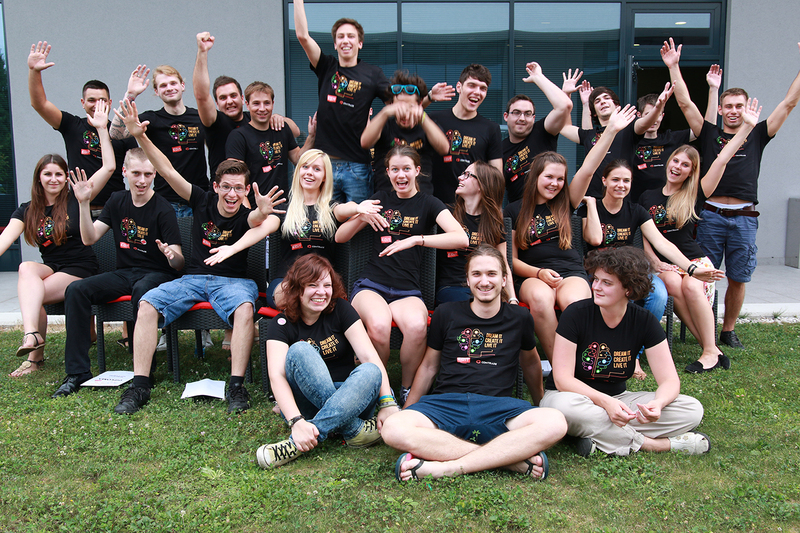 The second EDIT15 team in Ljubljana consisted of international students from Germany. The team presented concepts for sustainable mobility for the city of Ljubljana that are based on the system of public transportation and shared vehicles (Mobility-as-a-Service concept). Students focused on two main problems that Ljubljana is facing – pollution and traffic jams. They presented solutions how these problems could be minimized through MaaS.